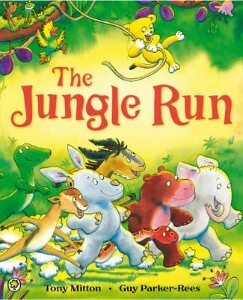 In this rhyming picture book, the jungle animals decide to have a race. The lion cub decides to participate, even though every one else tells her that she’s too small. But her size works to her advantage, allowing her to take the lead and win the race. The story may be simple, but the book’s large size and full page illustrations make this a great choice to share with a group! And he snaps that monkey right out of that tree! This flannelboard song was a big hit with the kids, probably because I decided to break out our crocodile puppet. 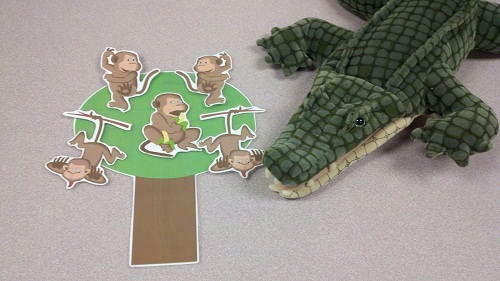 I would have the crocodile puppet sneak up on the tree and SNAP his mouth shut when it was time to take a monkey down. Many giggles ensued. An assortment of animals fall into a big, big hole and a tiger lurks nearby, waiting for his chance to eat them. However, all the animals in the hole are saved by an elephant, and the tiger falls in. 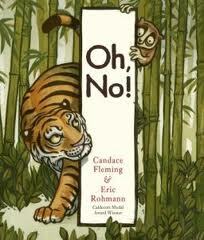 This book has a lovely refrain of “Oh, No!”; however, the kids weren’t up for saying it along with me. They did laugh when the tiger got stuck though, and overall, I think they really enjoyed the story. 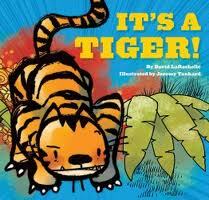 Speaking of tigers, the narrator of this book keeps stumbling upon one! The kids LOVED this story, and many decided to participate in shouting out, “It’s a tiger!” with me (so I guess that makes up for their lack of “Oh, noes!” in the other book). And this is what he said…ROAR! 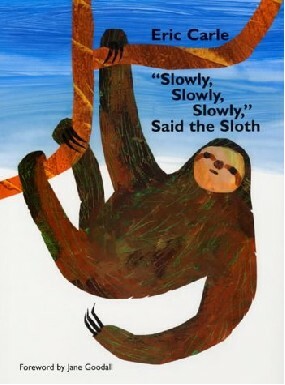 Normally the kids in my storytime love making animal sounds, but they just were not into this one. Lots of alliteration! Lots of vocabulary! The kids didn’t like it all that much.